Bachelors Of Science (featuring Erica London), Redeyes, Paul SG, mSdoS & Eros, Bachelors Of Science, Alix Perez (featuring Everett and Spectrasoul) and more. San Francisco’s not the first place that comes to mind when you think of world-class drum & bass, but there’s more to the city than Dirtybird and OM Records. 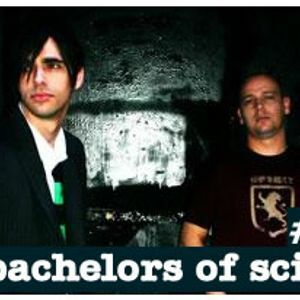 The duo known as Bachelors Of Science won global acclaim with their debut album Science Fiction back in 2008, which went on to become one of the biggest-selling drum & bass albums of all times – and although Phil “Rene” and DJ Fokus were born and raised in the UK, they’re flying the flag for their current hometown, where they first met each other. Their highly musical brand of drum & bass is smooth and tough by turns, with live instrumentation and gorgeous vocals par for the course. This mix shows them at their most diverse, repping D&B classics alongside album tracks and current rollers. Turn the bass up to 11 and get involved…and check out new album Warehouse Dayz, out this month, from which the opening track on this mix is taken. Great set guys! Outstanding track selection, nice and smooth.